Tehran: The protests raging in the capital city of Tehran, against the economic policies declared by the Iranian government have intensified. 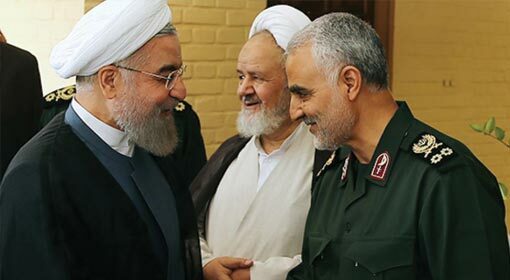 Objecting to the support offered by Iran to the terrorist organisations in Syria, Lebanon, Yemen, Iraq and the Gaza Strip, the angry protestors chanted slogans of ‘Death to Palestine’. The protestors also expressed their discontent with slogans like ‘we don’t want the Ayatollahs’ and ‘Death to the Dictator’. Thousands of Iranian citizens have been protesting against the Iranian government at the Grand Bazaar as well as outside the Parliament in Tehran since the last two days. Although the Iranian government media have suppressed news about the protests, the world is being informed about the disruptions in Iran through uploads on the social media. The video of the Iranian citizens protesting on the streets of Tehran has gone viral on the social media. Slogans like ‘Death to Palestine’, ‘Not Gaza, or Lebanon, but WE need help’, ‘Leave Syria, think of us’, ‘Support the Iranian citizens, not the Dictator’ are being heard during the protests. These slogans are heard not only on the streets but also in shopping malls and in front of the Parliament. The protestors were even appealing to the police personnel who were trying to stop them by saying, ‘You should also join us’. 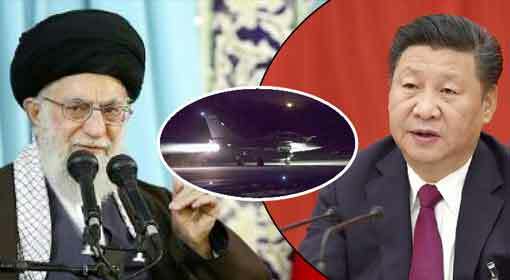 There are reports that slogans were heard against the Supreme religious leader Ayatollah Khamenei. Placards with slogans like, ‘We want Democracy’, ‘We don’t want the Ayatollah rule in Iran’ and ‘Death to the dictator’ were being flashed during the protests. 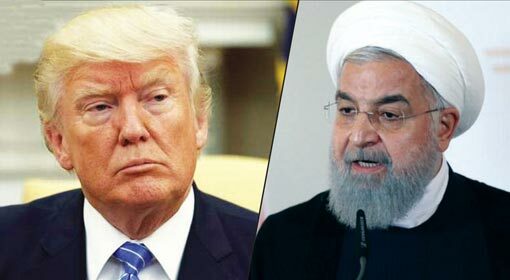 The slogans seem to be an expression of anger of the Iranian people about the policies adopted by the Iranian government over the last few decades. Some of the protestors have directly criticised the funding by the Iranian government to terrorist organisations in Syria, Lebanon and the Gaza Strip over the social media. These citizens have accused the Iranian government of not spending enough for its own population. Since the last one year, the protests against the Iranian government have been steadily intensifying. A few months ago, there were demonstrations against the Iranian government in capital Tehran. The protestors had demanded to oust Ayatollah Khamenei from power. 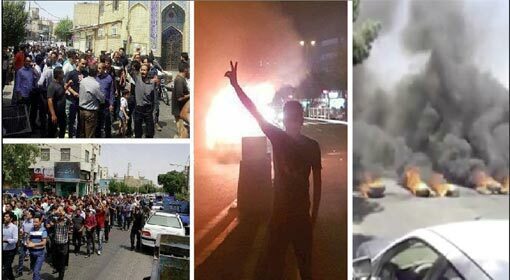 The protests had erupted in 75 Iranian cities along with Tehran. 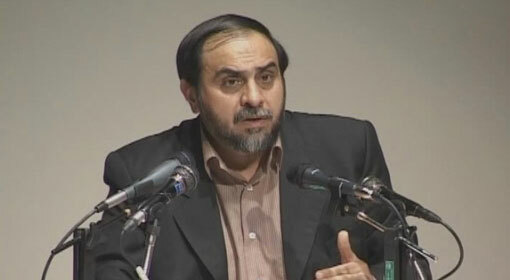 The Iranian security agencies had arrested the protestors and taken severe action against them. Some of the protestors were also seriously injured in the action. 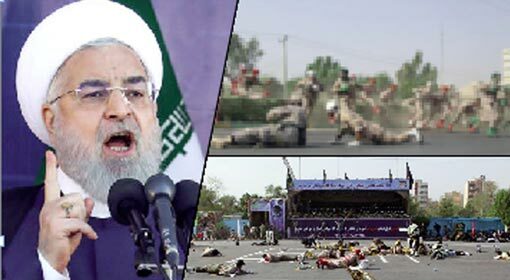 Despite this, the Iranian population has continued to organise even more aggressive demonstrations which seem to have jolted the Iranian government. 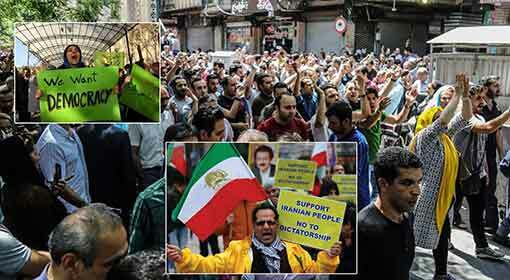 The protests which started on Monday were initially against the economic policies of the Rouhani Government. The Iranian currency Rial, has seen almost a 50% devaluation in the last six months. The conversion rate has reached to 85,000 Rials per US dollar. This has affected investments in the private sector and it is claimed that the banking sector may also be on the verge of a collapse. The number of unemployed youth under the age of 30 has increased dreadfully. 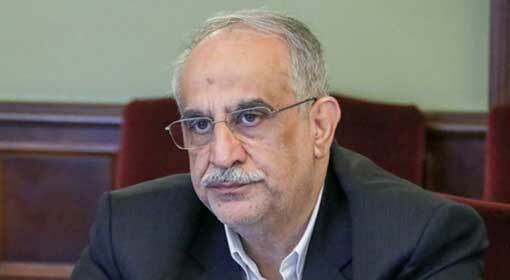 The traders as well as the citizens are blaming the faulty economic policies of the Rouhani government, for this state of the economy. Due to this, the protests were organised in capital Tehran for the last two days. Meanwhile, Israeli Prime Minister Benjamin Netanyahu has welcomed these protests. A few days ago, Netanyahu had presented a proposal to supply technology for providing clean drinking water to the Iranian population. 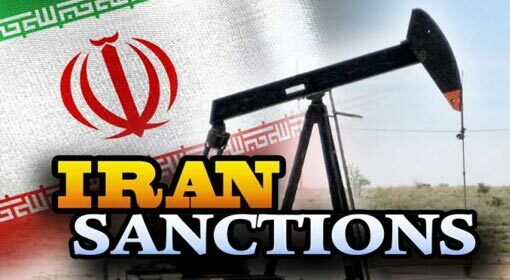 He had also advised that the Iranian government should spend its money on the welfare of the Iranian people rather than wasting its strength against Israel.